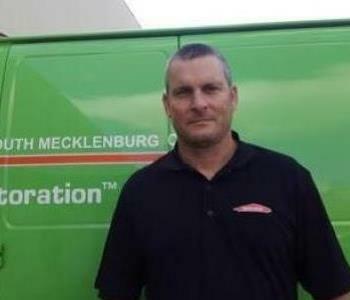 SERVPRO of South Mecklenburg County understands the stress and worry that comes with a fire or water damage and the disruption it causes your life and home or business. Jim Shuman, owner, is from Charlotte. As a native Charlottean, he knows and loves this area and this community. He and his crews are committed to making your life return to normalcy as quickly and calmly as possible after a water or fire loss. 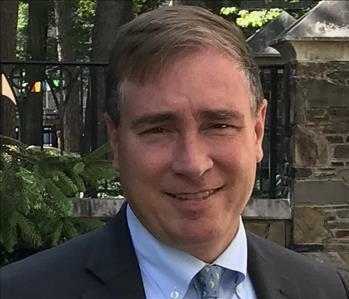 With more than 20 years of experience working with State Farm Insurance, he understands what is needed to face any catastrophe that may be happening in your home or business! Most of all, he will be there to support you, answer your questions, and make it "Like it never even happened." as quickly as possible. Lastly, his staff is highly trained in property damage restoration. From initial and ongoing training at SERVPRO’s corporate training facility to regular IICRC-industry certification, please know that his staff is equipped with the knowledge to restore your property and get you back to normal! One call to Jim and he and his crew will be on their way- 704-840-6112.